Theyre not out to save the world. They just want to survive it! 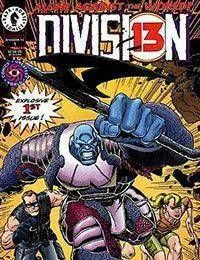 The four member team of Division 13 debut in their own series this month as they storm Block 13 to rescue the Vortex-infected prisoners there but they find only wreckage, devastation, and chaos. And the excitement triples with the unexpected arrival and first appearance of LAW!